Create your own superhero's with their own comic book stories! 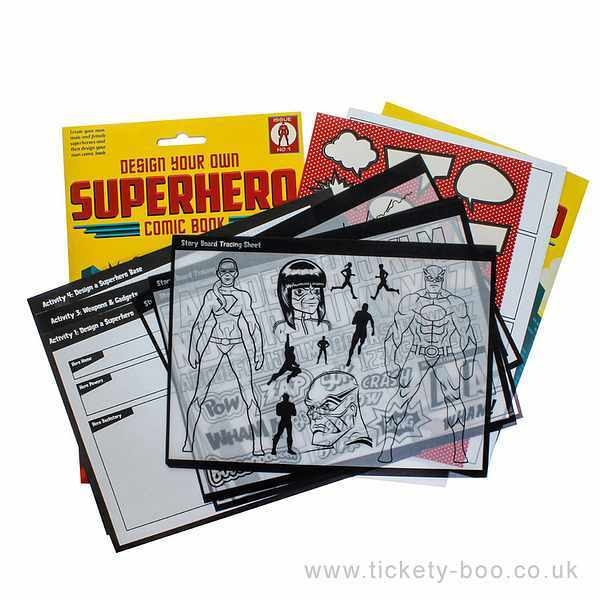 Different creative projects in this kit include: designing a superhero male or female, design a superhero logo, weapons and gadgets a secret base and comic book characters. 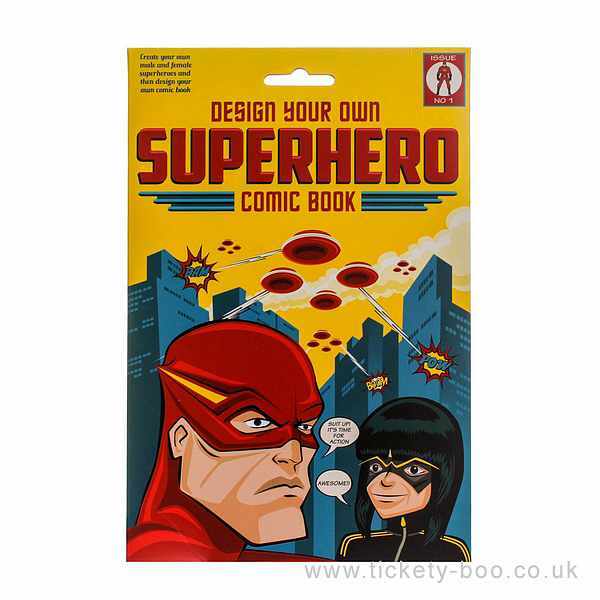 Contents: 1 x 8 page comic book, 1 x 8 page activity booklet, 1 x cardboard stencil sheet, 4 x graphic tracing sheets and 3 x project activity sheets.